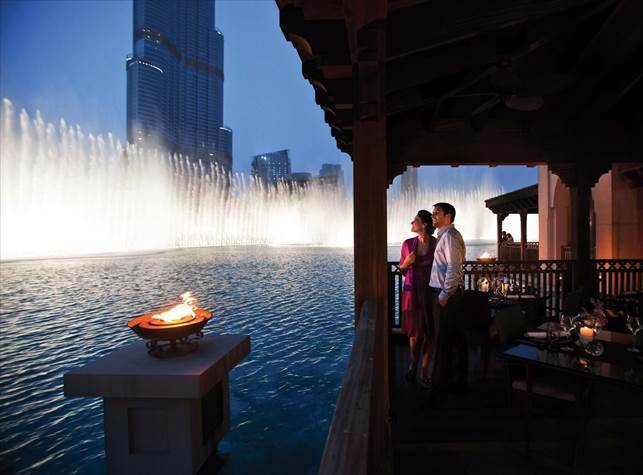 Thiptara, which means ‘Magic at the Water’, is surrounded by the Burj Lake, where the spectacular views of The Dubai Fountain transform this al fresco waterfront restaurant into a truly magical setting for Valentine’s Day. Show that person in your life just how special they are with a memorable evening at Thiptara. Indulge in a five-course set menu with a love inspired table centerpiece arrangement. All guests will receive a special complimentary jar of Valentine’s special sweets. Price: AED 800 per couple inclusive of a five-course set menu, soft and house beverages; AED 1370 per couple inclusive of a five-course set menu and a bottle of premium bubbly. To share the love, couples can enjoy 15% off bookings made before 2 February 2019*.